The biggest task in the data upgrade from a customized database to a standard one is to handle all the data modifications. For this I use the Table Compare tool. I need both the customized version and the old standard version. Export all tables from the Object Designer to a text file and import into the tool. Also import the 2015 objects in a similar way. After importing all the table definitions into the tool and selecting the appropriate Base Version for each customized version go into the Version Comparisons. After pressing the Compare button the result is showed. Click on the counters to drill down to the tables. 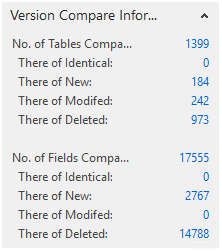 For all the tables listed as modified and deleted select the action to force the data transformation. 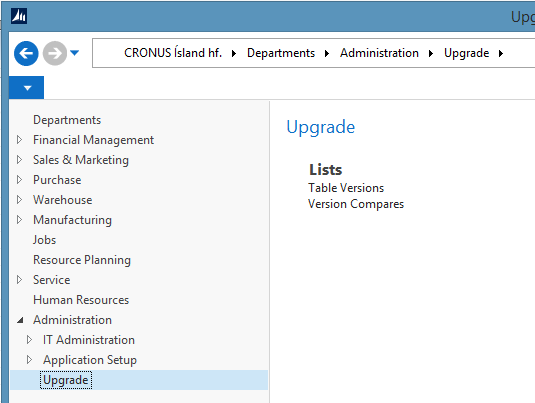 Back on the Version Comparison click the button to Create 2015 Upgrade Code and Save Codeunit Object File. Now we step over to the data upgrade task. We follow the guide by Microsoft; prepare the 2009 R2 version, convert with 2013, open with 2015, compile system tables, attach a service, run the schema synchronization and import the 2015 application objects. 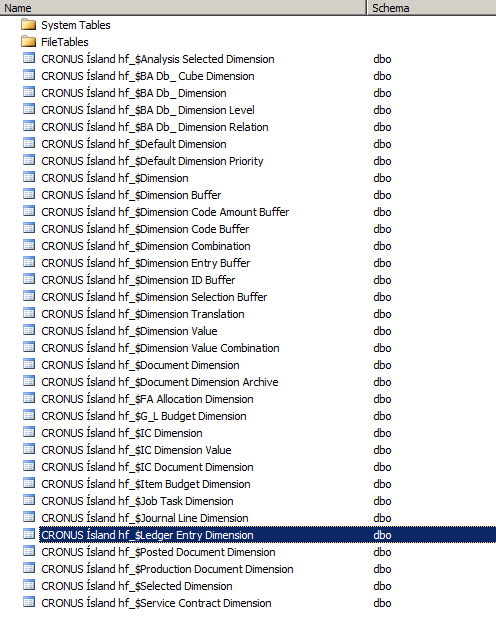 Here we stop after step 21 and add our exported upgrade Codeunit by importing and compiling. Now, run the Sync. Schema for All Tables With Validation. This should clean all fields that are not a part of the standard NAV. Continue the Microsoft steps and you should have a 2015 version database ready to use as a demo database for the customer. p.s. This method will also apply to any upgrade process from 2009 R2 to 2015. If there is customization in the 2015 database, just use the tool to create a temporary tables and data transfer code. 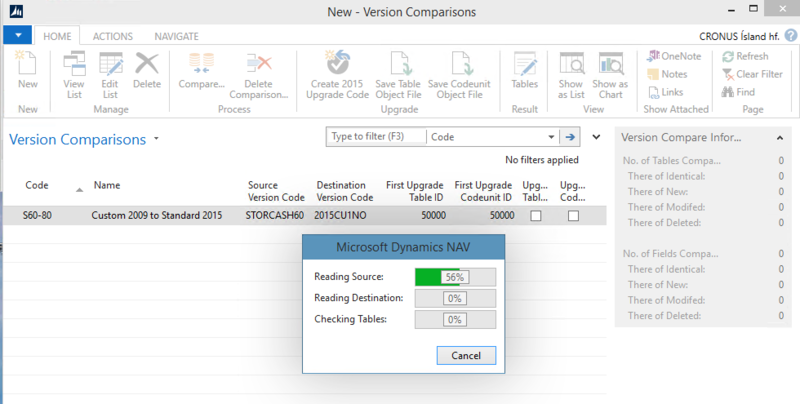 ​With this survey, we would like to solicit your valuable input in regard to the Microsoft Dynamics NAV upgrade story to better understand your current upgrade situation. 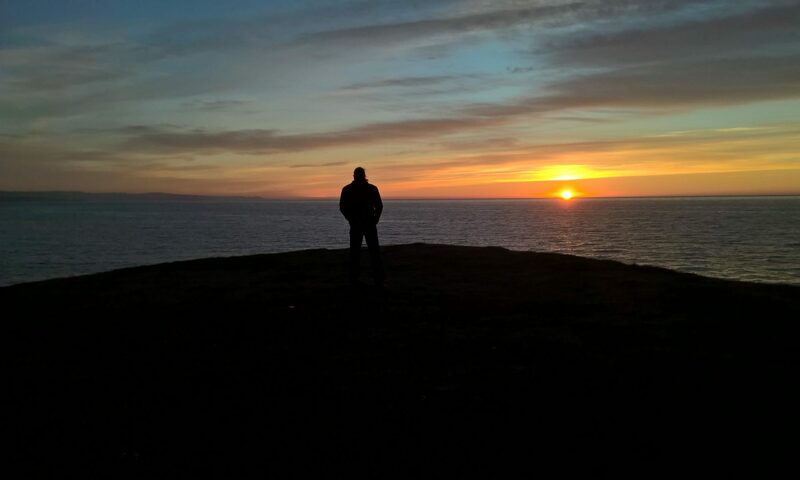 ​The questionnaire below focuses on upgrading from Microsoft Dynamics NAV 2009 Classic client to the RoleTailored client as well as the upgrade experience in general. The Microsoft Dynamics NAV team is determined to provide you with the best possible service to help you move your business forward and get the most of our new releases. The Client went live on the 6th. This is the task I told you about in last September. The database was 567GB in size with just a little less than 400GB used. It had 1.506.747 sales invoices and 30.438.858 value entries. Version 4.0Sp3 with a lot of added fields and customization. When I first ran the upgrade process with the standard upgrade tool it took about ten days. As you can see there is no way to stop a company for ten days. The process was rewritten and these are the steps I used. There where a few minor steps in between and after that was needed for this customer but basically this was it. The good news is; this was completed in just under 23 hours with an unexpected delay of just over an hour. This can be done and the client is happy. 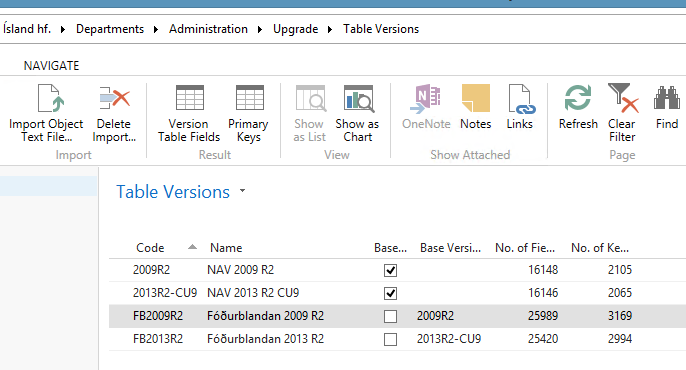 In a line with the methods introduced by Partner Ready Software I am now upgrading old code to NAV 2013 R2 with the goal to modify the standard objects a little as possible. I don’t recall Mark, Waldo, Gary or Vjeko speaking about a Table Hook but I decided to go that way anyway. As an example I have about twenty new field for the Customer Table. 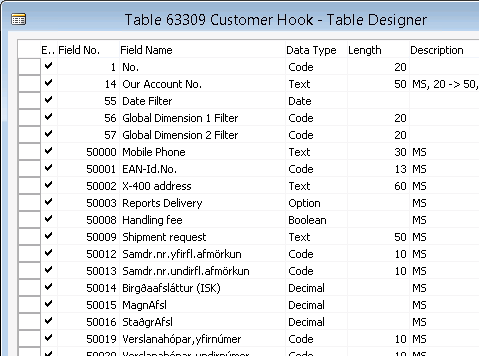 Instead of creating these fields in table 18 I create a new table that I call Customer Hook. The Hook Table must include the fields from the primary key and the primary key it self from the Master Table. In a code where I need to access the new custom fields I use this function to get the Table Hook to work with. In the Hook table I have a few functions. Next I created a Codeunit to hook to the global triggers in Codeunit 1. 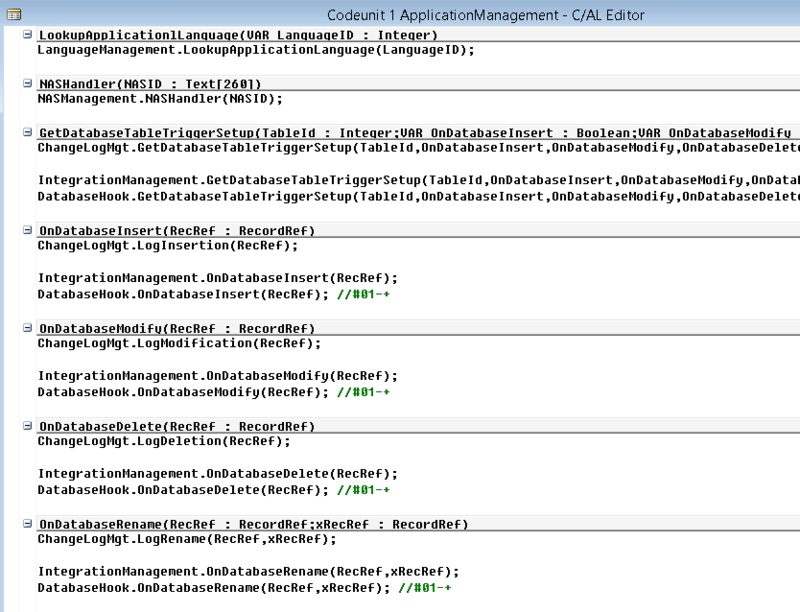 This Codeunit forwards the triggers from Codeunit 1 to the Hook Table. I need to add four lines to Codeunit 1. 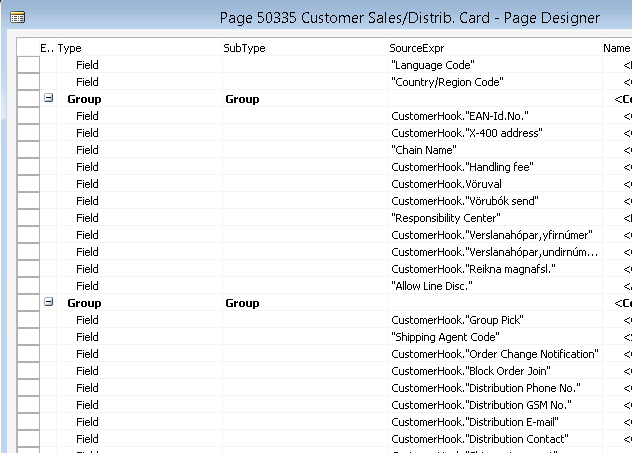 When all this is ready I am able to create or extend the Customer Page. 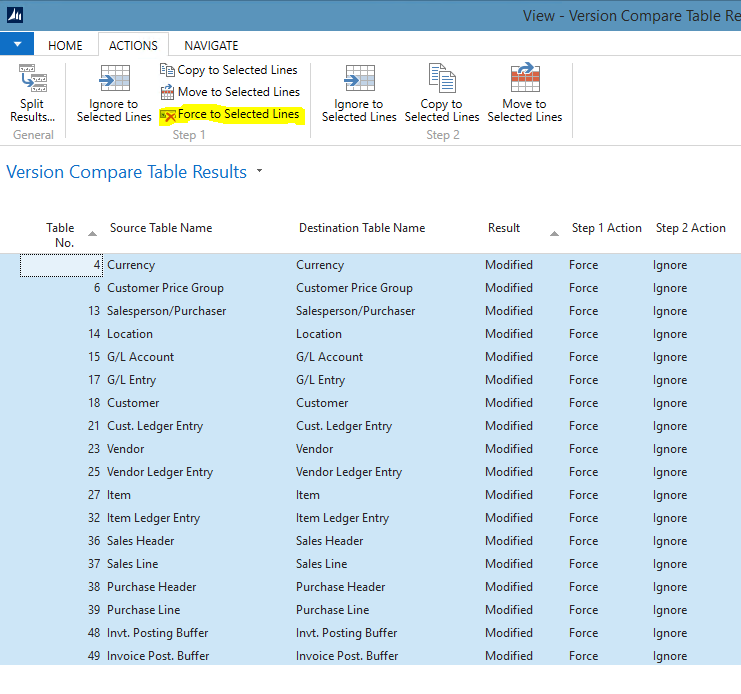 Here it is easy to mix together fields from the Customer Table and the Customer Hook Table. 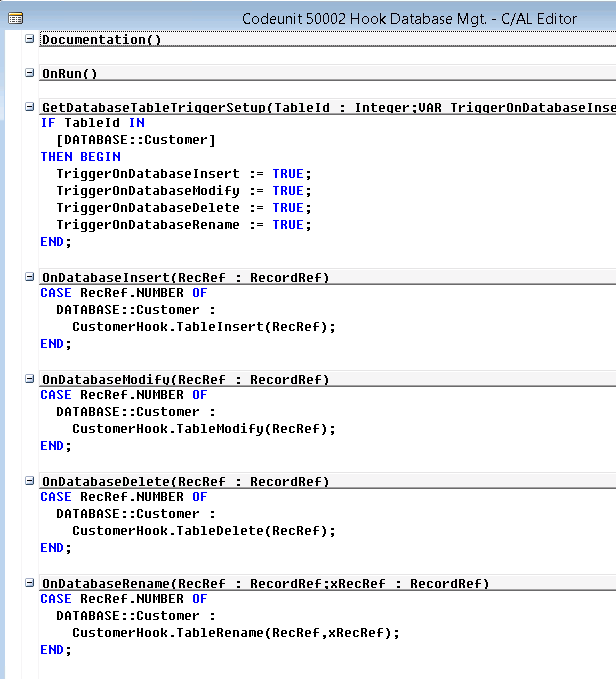 For the fields from the Hook Table I can add a Table Relation and a Validate code. and finally make sure that I get the Hook table matching the Customer on the Page. In an email exchange between a few NAV developers, we where discussing how to delete or modify data from read-only tables or tables that are not included in the customer license. 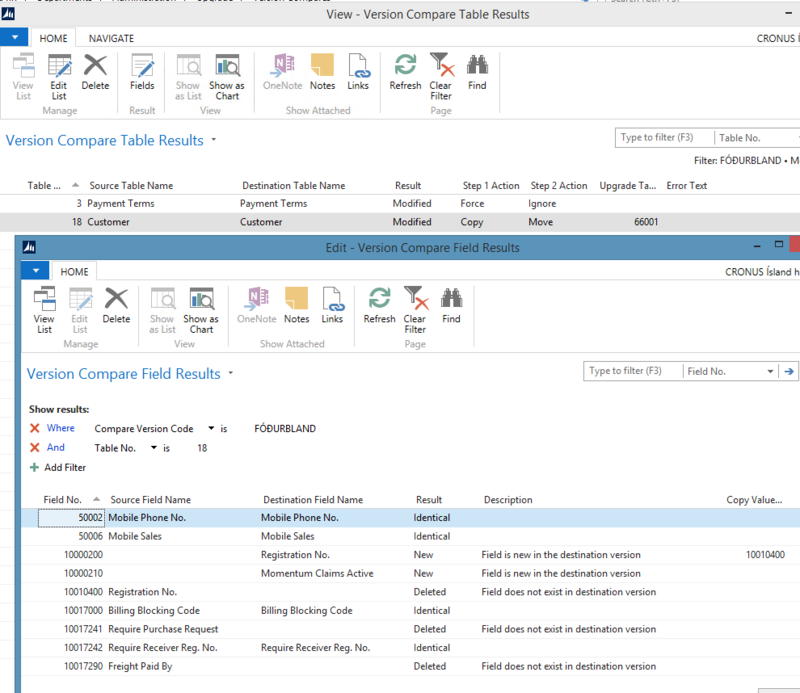 In the Classic Client the consultant was able to change to a partner license to make data changes. 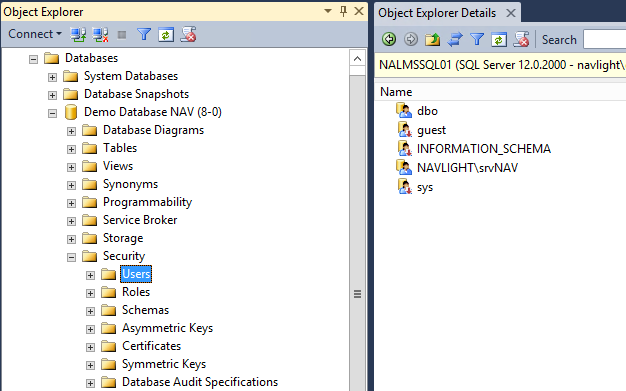 Since NAV 2013 tables are opened through the server instance and the only way to have tables opened with the partner license is to upload the partner license to the database and restart the server instance. That is not a best practice method but a possible way if you have a dedicated developement server instance where no user is connected. If that is the case you can use PowerShell to upload the license so it will only work on this service instance. If a user server instance is restarted the customer will be running the partner license and that is a dangerous thing. Make sure that you have the correct customer license at hand before doing this and make sure that you upload that license back with the same PowerShell commands as soon as your data changes have been done. Another way to solve this is with programming. You either create a Page, Report or a Codeunit to modify the data. 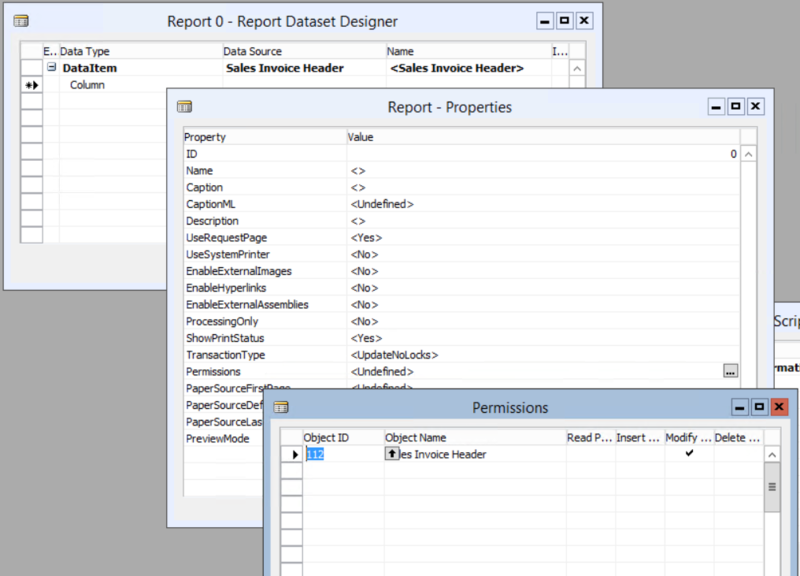 If the field is read only a Report or a Codeunit is needed to modify the data with code. Other fields can be edited with a Page. 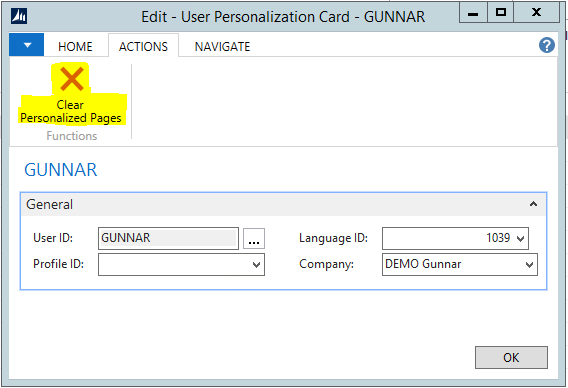 To enable modification with the customer license the object needs to have special permissions. Then one of the group mentioned another problem. If a customer is started with the CRONUS data then you will have data in tables that are not licensed. In that case you can’t change this with the customer license. Here the first method of change to a partner license is available but I suggest another method. Here is a Report that will loop through Table Information. 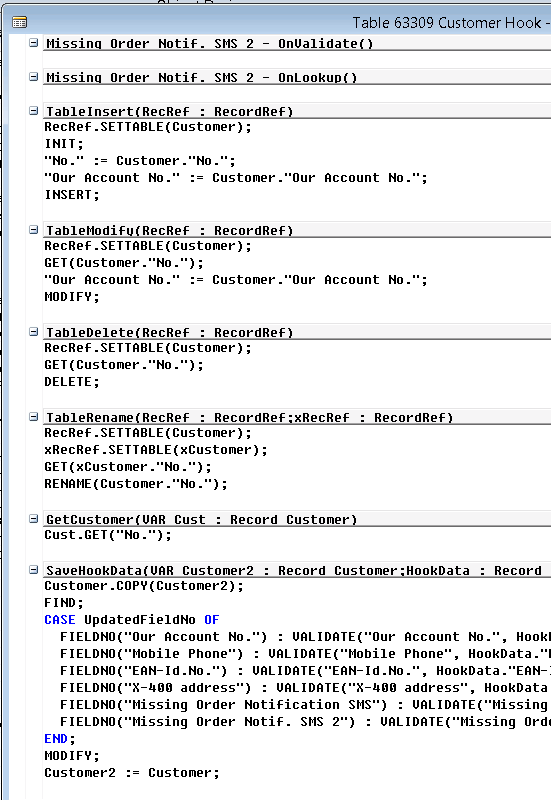 Running on the customer license it will find all tables that are out of license containing data and give you a SQL script to execute that will delete all data from these tables. I hope this will answer these questions and give you a simpler way to start a new company with existing data, or just check if you have any data that is not included in the customer license. 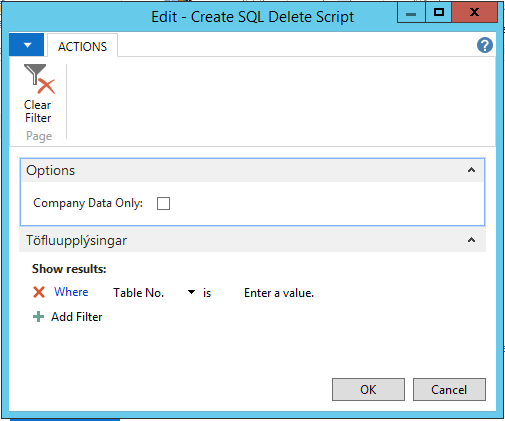 The Report – Create SQL Delete Script – is attached. 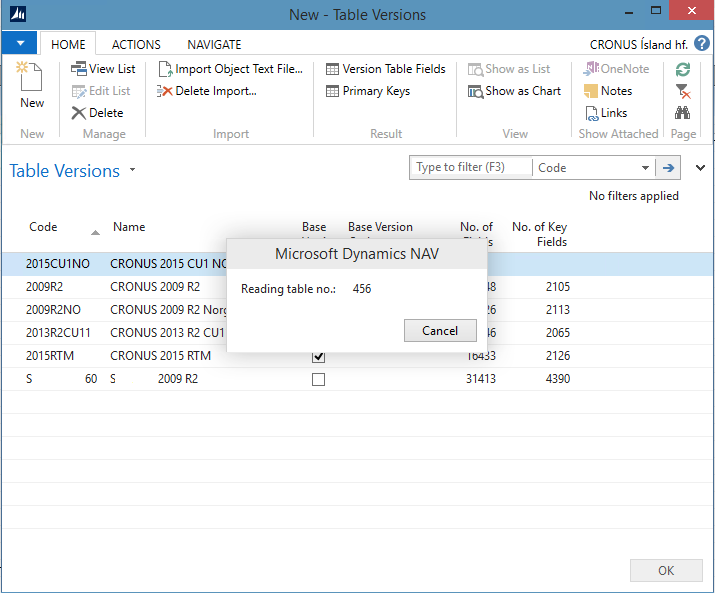 This version is for NAV 2013 R2 but the text version should also work in NAV 2013.